And I believe that totalitarianism, if not fought against, could triumph again. whose characters, lessons, and themes can be seen in the year 1996.
under the watchful eyes of his schoolmasters who “used kicks and caresses to keep the boys in line.” Once graduated from Eton, Orwell decided to work for the British Government in Burma as a member of the Imperial Police. There Orwell was exposed to many executions and other developments that resulted under imperial rule. It was at this points that Orwell “had already made up his mind that imperialism was an evil thing.” Therefore Burma was seen as a point of change for Orwell: in Burma Orwell established a hatred for the superimposition of the British Government upon the Burmese. Yet while this developed Orwell’s opinion of such governments, his experience in Burma was only the beginning of what would come to be an extensive political resumé of experience. Following his work in Burma, Orwell felt “obligated to expose the truth,” as he had fully come to recognize that “totalitarianism was a basic evil.” His further experience strengthened his opinions. After returning from Burma, Orwell wasted away as a poor beggar for several years and then went to Spain to fight in the Spanish Civil War. In part, it is believed that this was done because Orwell felt indebted to the world for his actions in Burma. To “equal” himself with others, he felt it necessary to “reduce” himself on a social level. Moreover, Orwell wished for an experience where he was considered to be a commoner, since the class system in England was far too restrictive for this to happen. Orwell himself said: “the class system- it hit you like a stone wall.” In Spain Orwell fought with the Republicans and there recognized that it was “impossible to fight for any side without recognizing it as an unjustifiable tyranny.” While Orwell had originally thought that Spain would be a rejuvenating experience, he quickly came to learn that even the side he was fighting for was in arms with itself. That is, the Americans, British, and Communists fighting Fascism were themselves in dispute. It was as a result of Orwell’s dissatisfaction in this incident that he almost came to be slain by a group of Communists. In Spain Orwell suffered injuries and later returned to England where he worked for the BBC. Concurrently the Second World War was under way, and Orwell familiarised himself with the Russian situation. Having just felt the frustration of the Spanish War, Orwell was once again outraged that the Russians as a people and the rest of the World were not truly recognising Stalin’s oppressive ruling. He took the stage and pointed out the truth. The fact was that little was known about Russian life behind the iron curtain: information was limited to government agency reports that only published the good news while inside sources mysteriously contradicted one another. It was as a result of these experiences that Orwell came to develop his views as expressed in the novel 1984 and Animal Farm. And so, the world was given 1984 and Animal Farm where Orwell criticized the totalitarian governments of the world for their platforms. Collectively, his works came to reject the governments which sought a utopia that Orwell had, at an early age, recognised to be impossible to achieve. It was through his writing that this ultimate prophesy was established. Orwell matured as an experienced man whose young and adult exposure had opened his eyes to multitude of political clashes. It was through these trials in Burma, Russia, and Spain that Orwell began to develop a disapproval for totalitarian ruling forces and an admiration for socialism. Moreover, through leaders such as Russia’s Stalin, identified as “the greatest,” Orwell found many flaws. Consequently Orwell set on a mission to expose the truth to the world; to save it’s countries from futile attempts to create utopian states far too idealistic to be reality. In his life and work, Orwell was truly dedicated to being a beacon of light in the totalitarian night! Housing Bubble USA 2008 Burst – the FED did or did not want to see it coming – Housing Bubble 2.0 Europe 2020? I BET WITH YOU 100USD – THAT EVERY KID ON THE STREET WAS SEEING THAT HOUSING-BUBBLE OF 2008 COMING. 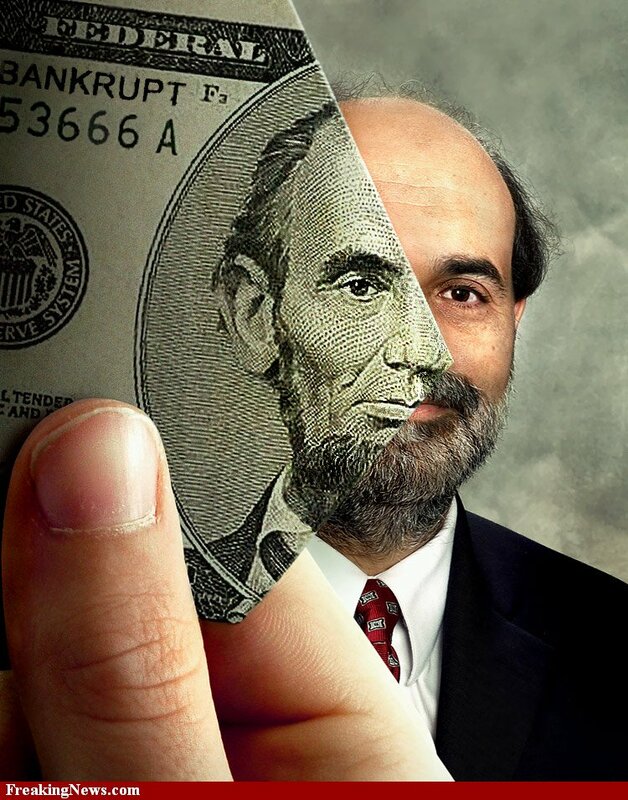 So if Bernanke (FED) says “he did not see it coming” – it is either a lie – or it means the finance-sector and politicians are soooo arrogant and deteched from the rest 99% and blind-eyed on every eye. This is very unlikely – so i go for the first (it is a lie) with a little mix of massive arrogance and miss-management. But let us remember – the FED was FOUNDED (largely a JP Morgan production) in order to AVOID FURTHER FINANCIAL CRISIS – that probably was also a lie. to me this seems like a scheme… banks generate money when giving a loan e.g. for a mortgage for housing… they even lend money between banks to generate more checkbook-money… after a collapse you can go on shopping tour… and buy things cheap and wait for it to gain value again. it is basically a massive nation or even world-wide fraud. 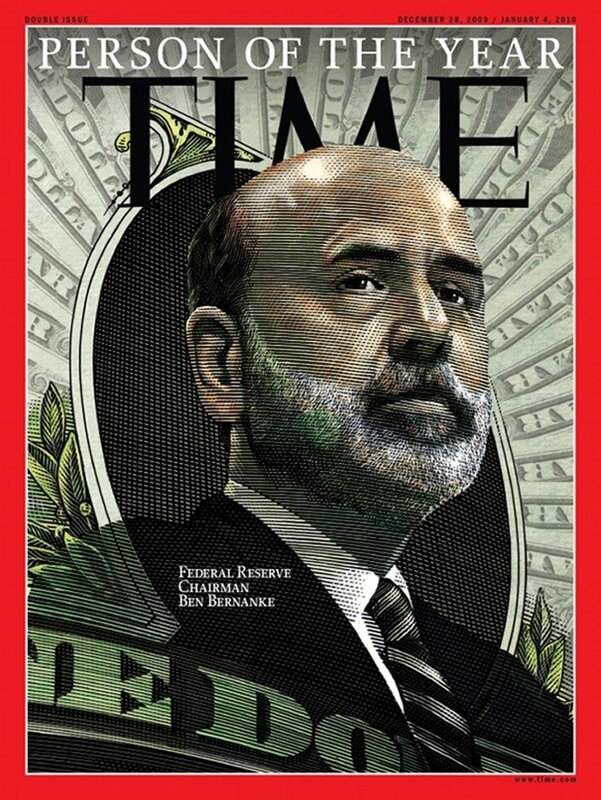 I guess the FED (which seemed to be owned by private Wall-street banks?) was very well aware what was going on. You can surely laugh at those who were stupid enough to believe your lies – but one thing is ultimately lost – trust. 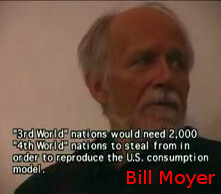 And without trust – nothing works – no cooperation between humans will be possible – so money will actually stop working. Thanks god. It is very funny that the ECB is doing the EXCATLY same thing as the FED does. 1:1 copy. 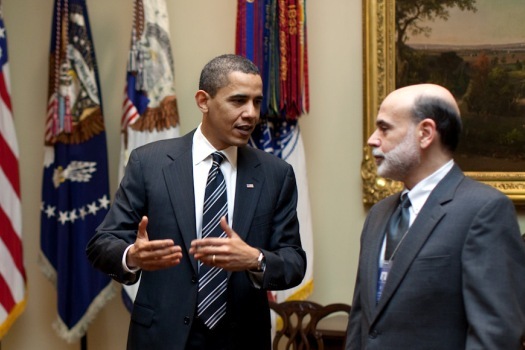 Bernanke was not Goldman Sachs – Mario Draghi (ECB) was. Do Central Bankers Know a Bubble When They See One? Between 2000 and 2008, two of the largest financial bubbles in history — in technology stocks and housing, respectively — suffered spectacular collapses. Opinions vary, but some market commentators believe at the peak of the tech bubble, total stock market capitalization exceeded 180% of US GDP. To put this in perspective, the tech stock bubble was over twice the size of the 1920s stock bubble!1 As large as the bubble in tech stocks was, it was child’s play compared to the housing bubble. When the US housing bubble collapsed, the credit losses were so large the entire worldwide banking system was considered to be in mortal danger. One of the primary justifications behind the 1913 founding of the Fed was to prevent financial crises. Logic then dictates if a major motivation behind forming a central bank is the prevention of a financial crisis, then a financial crisis that breaks out under the nose of a central bank must be due — at least in part — to mistakes of that bank. The Fed’s mistakes and its subsequent leading role in causing the housing bubble will be seen by reviewing speeches given by Alan Greenspan and Ben Bernanke that praised the housing bubble era Fed. In addition, a review of statements made in the wake of the tech bubble’s collapse will reveal senior Fed officials taking positions diametrically opposed to positions Alan Greenspan claimed formed the basis for the Fed’s policy toward bubbles, namely, allowing bubbles to burst and dealing with the consequences later. 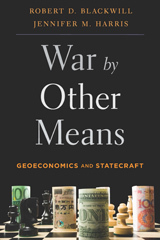 The struggle to understand developments in the economy and financial markets since the mid-1990s has been particularly challenging for monetary policymakers. … We at the Federal Reserve considered a number of issues related to asset bubbles — that is, surges in prices of assets to unsustainable levels. As events evolved, we recognized that, despite our suspicions, it was very difficult to definitively identify a bubble until after the fact — that is, when it’s bursting confirmed its existence. 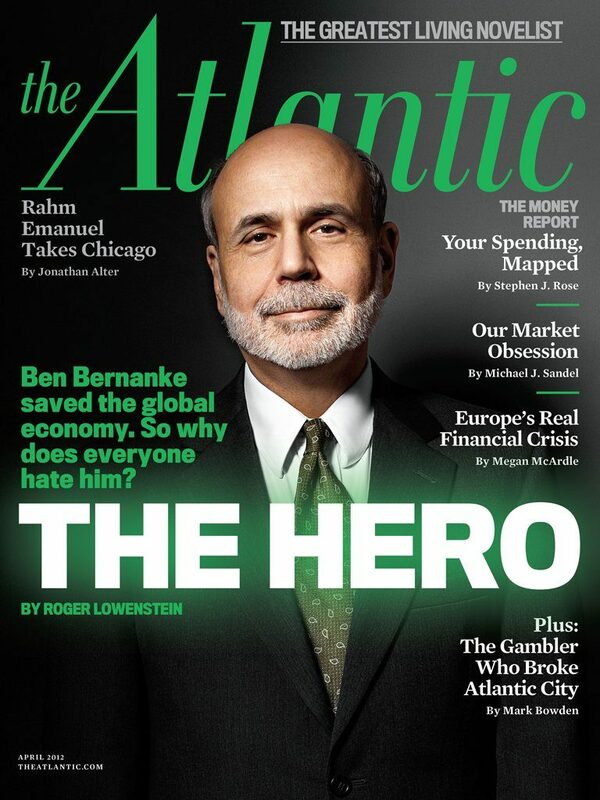 The “monetary ease” — slashing interest rates — Greenspan was taking credit for here was not helping the economy heal. Instead it was fueling an enormous bubble in housing whose negative consequences can best be described as world-altering. One month later, in February, Greenspan’s partner in criminal economic ignorance, The Great Moderation Remarks by Governor Ben S. Bernanke At the meetings of the Eastern Economic Association Washington DC February 20 2004 r040301f.” In this speech Bernanke would, unknowingly, provide further evidence of the Fed’s enormous role in fueling the housing bubble. 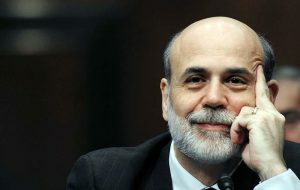 Bernanke claimed the Fed’s monetary policy was a source of stability and helped to reduce variations in economic output. The irony in giving this speech at this time should not be lost. Bernanke’s speech, like Greenspan’s, betrays a total ignorance of the enormous housing bubble that was only a few weeks from peaking. (Homeownership peaked in April 2004!) With just these two speeches, the criminal incompetence of the Greenspan/Bernanke and the leading causal role the Fed played in the housing bubble are demonstrated. Well, I guess I don’t buy your premise. It’s a pretty unlikely possibility. We’ve never had a decline in housing prices on a nationwide basis, so what I think is more likely is house prices will slow, maybe stabilize, might slow consumption spending a bit. I don’t think it will drive the economy from its full employment path. Later in October 2005, other Fed officials would also contradict Greenspan’s Jackson Hole speech. By then, homeownership had already peaked and the bubble had started to collapse. Amazingly, two Fed economists investigated if there was a housing bubble. They — erroneously, of course — concluded home prices are “high but not out of line.”4 Obviously, if Fed officials were investigating to see if a housing bubble existed, then they believed it could be observed without first having to collapse. Amazingly, Alan Greenspan would eventually completely contradict Greenspan! Here is “Mr. Chairman,” as CNBC lovingly refers to him, discussing the Lehman Brothers failure in October 2013, “We missed the timing badly on September 15th, 2008 [the day Lehman Brothers went bankrupt]. All of us knew there was a bubble.”7 So which is it Mr. Chairman? Can bubbles be “obvious” or something “everyone knew” to exist before they pop — as you indicate here — or do you have to wait until after they pop to confirm their existence as you said in Jackson Hole? Our brief review here demonstrates both the leading role the Fed played in creating the housing bubble — the January and February 2004 speeches — and the many mutually exclusive positions the Fed took on bubbles. In spite of being exposed in what is either a self-exculpating lie (the claim that bubbles can only be seen after they burst) or a sign of gross incompetence (the failure to see two of the largest financial bubbles in history), no Fed official has ever been asked to explain or rationalize the Fed’s contradictory positions on bubbles. Whether anyone from the Fed is ever forced to do so or not, it is obvious the Fed has much to answer for concerning all the economic hardships their bubble befuddlement has caused. 2. Jim Grant, Mr. Market Miscalculates (Mt. 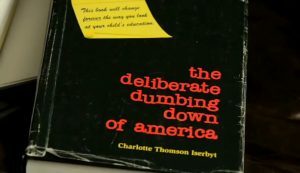 Jackson, Va.: Axios Press, 2008), pp. 241. 3. “Risk and Uncertainty in Monetary Policy”, Remarks by Chairman Alan Greenspan at the Meetings of the American Economic Association, San Diego, California, January 03, 2004. 4. Jonathan McCarthy and Richard W. Peach, “Is there a Bubble in the Housing Market Now?” Federal Reserve Bank of New York, 2005. Mankind and the individuals that comprise it, conscious of it or not, are in a constant pursuit of something: happiness, perfection, wealth, or popularity. Yet there is something, a more worthy, substantial pursuit that is common amongst many others: the relentless pursuit of what he believes to be a certain TRUTH that exists. Perhaps one of the most dedicated of these people in his attempts to seek out and expose the truth is writer Eric Arthur Blair, (Nom de plume: George Orwell) particularly in his novel 1984. In order to understand Orwell’s political opinions, platforms and his desire to unveil the truth about certain governments, we must analyse his past: his experience in Burma, Spain, and England. It was through these experiences that involved propaganda and totalitarian regimes that Orwell came to develop his views on sovereignties which he later compiled in his satirical novel 1984. Though this allegorical story has an interesting “surface” tale, it must be analysed on a deeper level in order to fully understand the author’s purpose. It is through a more intense investigation of the novel that the reader comes to recognize 1984’s verisimilitude. It has become apparent that 1984 is not an anachronistic representation of a past totalitarian society; it has becomes a timeless book whose characters, lessons, and themes can be seen in the year 1996. Orwell was born in India in 1903, his father working for the Civil Service at a time when England’s imperialism was peaking. At the age of fourteen Orwell entered Eton School in England. It was at Eton that Orwell first became exposed to totalitarian leadership under the watchful eyes of his schoolmasters who “used kicks and caresses to keep the boys in line.” Once graduated from Eton, Orwell decided to work for the British Government in Burma as a member of the Imperial Police. There Orwell was exposed to many executions and other developments that resulted under imperial rule. It was at this points that Orwell “had already made up his mind that imperialism was an evil thing.” Therefore Burma was seen as a point of change for Orwell: in Burma Orwell established a hatred for the superimposition of the British Government upon the Burmese. Yet while this developed Orwell’s opinion of such governments, his experience in Burma was only the beginning of what would come to be an extensive political resumé of experience. And so, the world was given 1984 and Animal Farm where Orwell criticized the totalitarian governments of the world for their platforms. Collectively, his works came to reject the governments which sought a utopia that Orwell had, at an early age, recognised to be impossible to achieve. It was through his writing that this ultimate prophesy was established. Orwell matured as an experienced man whose young and adult exposure had opened his eyes to multitude of political clashes. It was through these trials in Burma, Russia, and Spain that Orwell began to develop a disapproval for totalitarian ruling forces and an admiration for socialism. Moreover, through leaders such as Russia’s Stalin, identified as “the greatest,” Orwell found many flaws. Consequently Orwell set on a mission to expose the truth to the world; to save it’s countries from futile attempts to create utopian states far too idealistic to be reality. In his life and work, Orwell was truly dedicated to being a beacon of light in the totalitarian night!